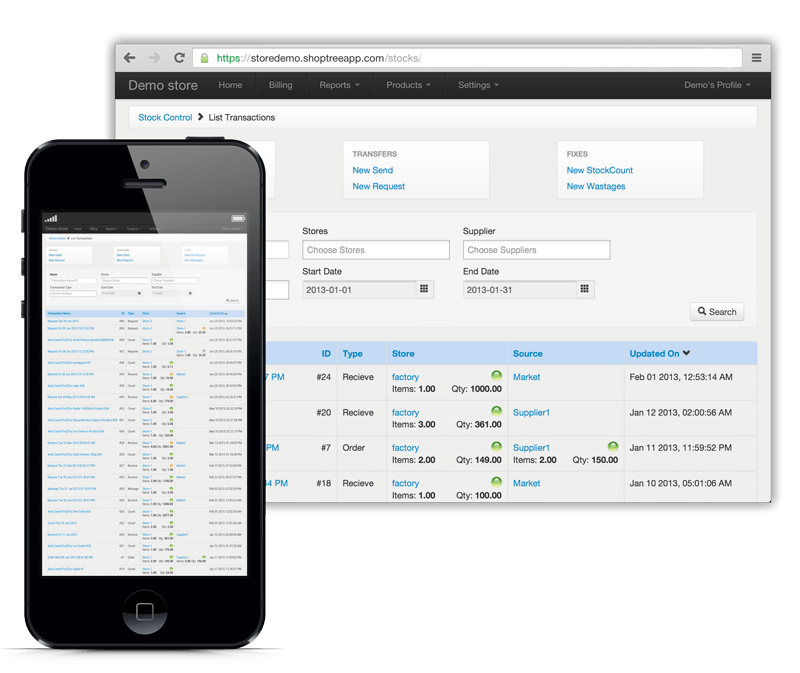 Shoptree is a point-of-sale, payments, inventory and customer management software for your business. Trusted by businesses across 50+ countries. No matter the size of your business, the customers you serve or the locations you operate we are there for you. Simple and easy to use software, with no training involved. Our intuitive user interface is optimised for touch screen devices & for desktop computers with quick shortcut keys across the whole site. It helps you navigate to different pages easier and faster. Generate Real time reports across a single store or multiple stores combined on transactions by products, sales, stockflow, sections, brands, suppliers, etc. which helps you find the right data to make your business tick. Add, edit and delete Products with ease. You can even bulk import products with just a few clicks. Our Stock Management features helps you keep track of your stock levels across all your stores and order, recieve, transfer stock between stores. Stock Take and Wastages help you keep track of all the inventory adjustments and its total value. We help you Increase Inventory turns and Reduce Inventory shrinkages. Smart, intelligent and easy-to-use software with a friendly user interface helps your employees get their work done faster across your store. Enjoy the freedom of viewing real-time data of your business on-the-go, and work where and when it suits you. Complete Restaurant & Bar Management System. 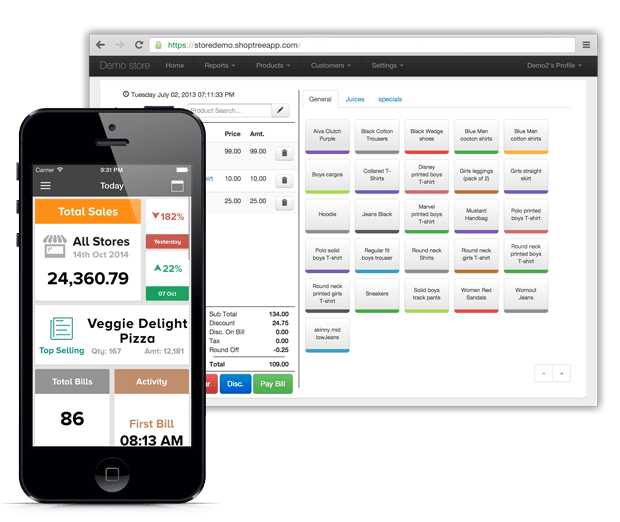 Take Orders at the table on a tablet and serve more customers in less time. Accept cash and card transactions anywhere, anytime with all the features you need to sell on your iPad. Create a single product or bundle a set of products into a composite. Manage promotions, location specific prices, taxes & discounts. Our stock management feature will help you in managing the stocks, ordering the stocks, stock wastages and in stock auditing with ease. Control which employee can do what with the help of 35+ permission sets without compromising their functionality and efficiency. Tailor your Receipts to the precise needs of your business and also deliver your tickets to the kitchen printer wirelessly. 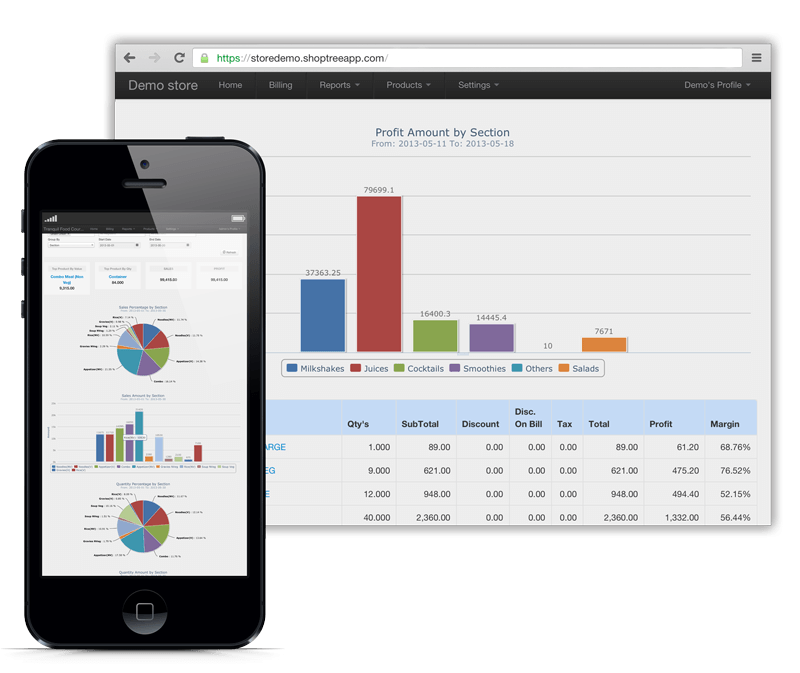 Integrate directly with e-commerce store, accounting software, payroll management, marketing tools and many other apps. You have full access to our community support portal. Email, Remote Assistance & Live in-app support available on working business days. Cut the wait time by half with lightning fast transaction completion with sms and email alert notifications of charge slips. Delight your customers with ease-of-transaction.